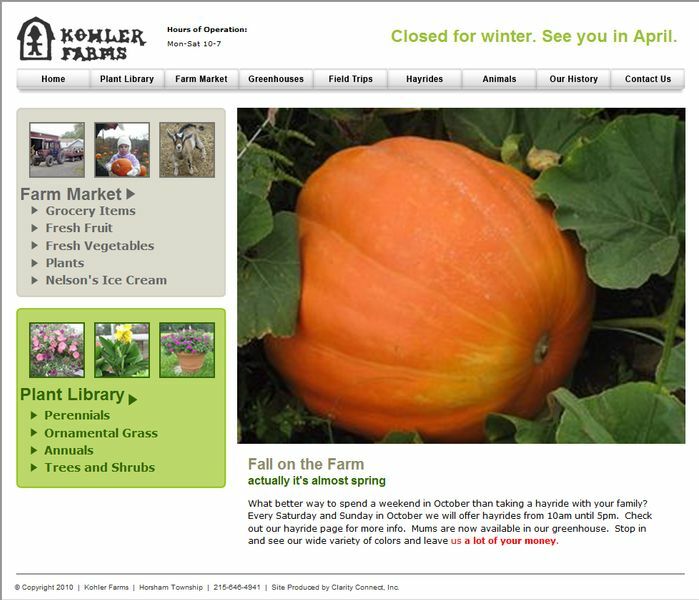 Kohler Farms is owned and operated by Pat Kohler and her son Nathan. For seven generations Kohler ancestors have farmed in the Bucks and Montgomery County area. Their current location, on Limekiln Pike in Horsham Township, has been a working farm for over 70 years. Today, 150 acres are under cultivation by the Kohler family. Approximately 40 of those acres are vegetables and the remainder are hay and straw.